After disbanding in 2001, New York City-based Shibuya-kei group Cibo Matto reunited 10 years later in preparation for a new studio album, the band’s first in almost 15 years. On Feb. 14, “Hotel Valentine” will finally hit shelves in the United States. 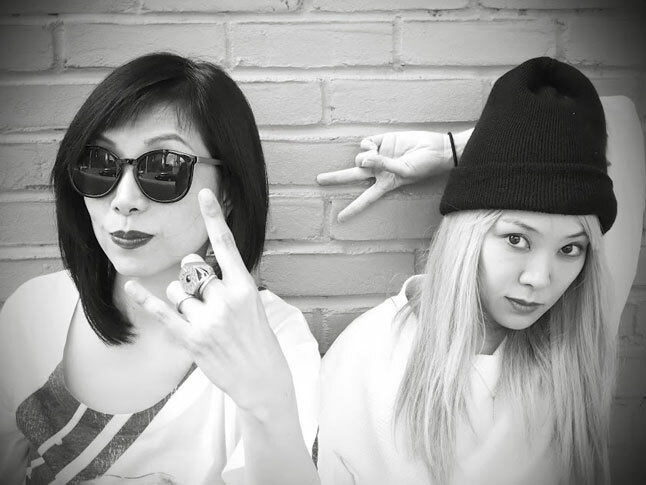 Before their performance at the Sinclair on Feb. 8, Cibo Matto founders Miho Hatori and Yuka C. Honda sat down with The Crimson to talk about their band, their influences, and their new album. THC: What made you decide to reunite? Miho Hatori: It was a very organic process—it’s not one reason. I guess it was time. THC: How have things been different or the same since reuniting? Yuka C. Honda: I think the core [of the music] is still the same, but the times are different, so the way we work is a lot different, the technology is different… things like that are different. THC: Will your latest album see any new musical influences? YCH: Yes, a lot. There have been so many great artists since our last album. Like in the early 2000s there were the Neptunes, who were really great. Is Timbaland ’90s? Timbaland is ’90s, right? YCH: I really love this band called Death Grips—I really, really like them a lot, and they’re pretty new. I like D’Angelo. THC: Cibo Matto is in some ways from Japan and in other ways from New York City. What influences has this had on your music? YCH: The fact that we’re Japanese-influenced music? I’m sure there are a lot [of influences], but it’s very hard for us to tell because we are Japanese-Americans. But I think Miho and I definitely grew up there, so there’s some ways that we think that are different. And also I think the fact that we live in a foreign country, we have this alien status that probably influences our mind and philosophy. But we are not really that conscious of it—we’re just being ourselves. THC: Do you think the alien status has shown up more over time through your music, or is that something that you started out with and have had to overcome? YCH: I think of Miho as a blonde woman. THC: You have an album coming out this week. What is “Hotel Valentine” about? YCH: “Hotel Valentine” is a concept. There’s a concept that they’re in this hotel and there’s a ghost, and there’s a traveler who’s in love with her and only he can see her because of love. There are all these events that happen, and there are delinquent housekeepers... It’s for fun; we created this environment. THC: So it’s some sort of story. MH: Yeah. It’s like we made an invisible movie with the music. THC: How is this album different from your previous albums? YCH: Every album is different, kind of like every year is different....it’s not exactly a diary, but it’s a reflection of who we are at the time. I think every album tends to become different because we are really curious people and we like to grow, so every year we have all these new things with us. Hear Me Out: Miguel, "Simplethings"